A few months ago, we told you we were in talks to get listed on a brand new exchange, which many of you were excited to hear progress on. We are pleased to announce this month that we are now listed on the fully regulatory compliant, decentralised exchange, Orderbook.io. New exchanges always means more liquidity, but the most exciting part of this new listing is that it is open to investors and traders in the USA! There’s a huge affiliate market in America and we’re pleased to be able to offer American citizens the chance to invest in our project. Orderbook.io is a decentralised exchange powered by the Ethereum blockchain. Developed by Ambisafe, it offers a unique trading experience with high levels of security, and full legal compliance. This means tokens and coins listed on Orderbook have to pass strict testing procedures, and we’re very pleased to say RefToken has passed! More exciting news this month, we have two new clients signed up to our ICO platform. Although we currently cannot disclose the names of these projects, one of them is an innovative and disruptive age verification system, and the other is a cryptocurrency hedge fund which plans to offer a security token. Our sister organisation, ICO launch Malta, will be developing a unique security token and associated dividend-solution with this company, in addition to developing their website, and they are in the final stages of finalising their whitepaper. We look forward to working with them in the coming months. You might have heard a rumour on the Telegram group that RefToken has been delisted from OKEx. This is not the case, RefToken is still trading at OKEx using the REF/ETH and REF/USD pairings. As with a number of other tokens and coins, it’s simply the REF/BTC pairing which has ceased trading, for the time being. Other very exciting developments we have to share with you this month is the upcoming AffiliateFEST, and the Blockchain Conference Malta, which RefToken will have a presence at. 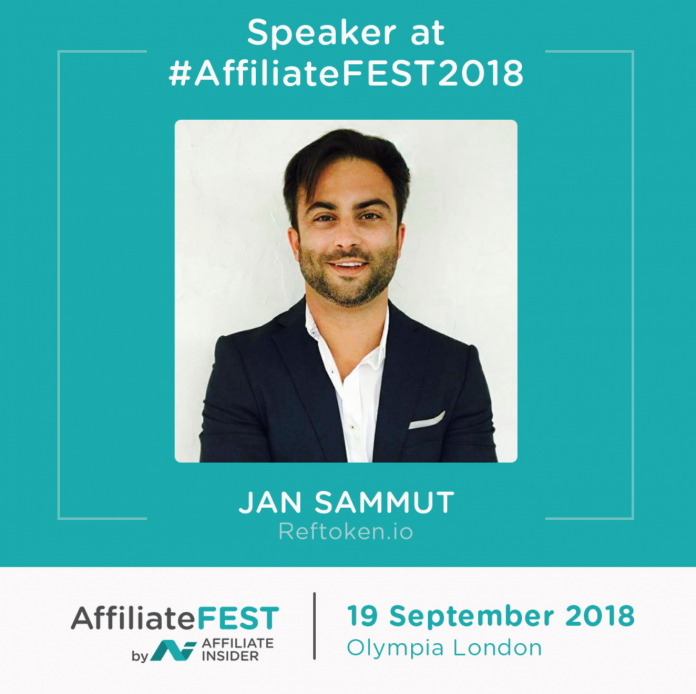 On the 19th September, AffiliateFEST will kick off in London, United Kingdom. AffiliateFEST is a key event for those associated with affiliate marketers across the UK and abroad, with a huge potential client base attending the conference. Established in 2015, AffliateFEST was developed to support revenue growth for affiliate marketers by providing detailed digital learning to delegates. We are pleased to share that our CEO, Jan Sammut, will be speaking at the event and hosting a workshop, where he will be teaching affiliate marketers how decentralised platforms such as RefToken can eliminate skimming, fraud, withheld payments and other factors which have plagued the affiliate sector since its creation, and also how affiliates can use blockchain in their businesses. We also announced on Telegram that Jan will be joining other blockchain experts in Malta on the 23rd of October, for the Blockchain Conference Malta; where he will be discussing regulatory challenges in blockchain. The Blockchain Conference Malta is a large event bringing together over 35 expert speakers from across the globe to talk about real world use cases of blockchain technology. We look forward to hearing Jan’s perspective on the challenges in this space. A big update! Once again thanks for following us, if you haven’t already please join our official Telegram group - (@reftoken) (t.me/reftoken), like our page on Facebook or head over to our Twitter for regular updates.